This branch of the family includes, of course, lots of cotton mills but also brings in wall paper manufacturing (Belgrave Mill). There are some sad examples of how the First World War affected the Bibby family, an emigration to America, and the first school teacher in the family who, like my cousin Barry, ended up a head teacher! One section continues the family tradition begun by John Bibby of running a pub (a tradition which was continued by my aunty May Ward and her husband, Jim Turnbull and their children). 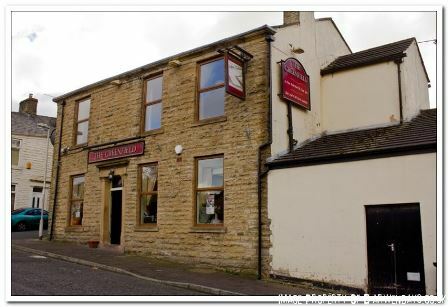 If we carry on at this rate we might find that virtually every pub in Darwen has been run by some member of my family! This example is the Greenfield. I think John Bibby probably ran the George and Dragon (which hasn't existed for a long time). Of course, aunty May and uncle Jim ran the Black Horse. Their daughter Kathleen and her husband Jack, the Ellenshaw and their son Jimmy and Daureen, the Crown. Oh, and interestingly, there also seem to be quite a few single people (rather like the Wards). Perhaps there was a gay gene in the Bibbys as well as the Wards? Joshua was born in Bashall's Factory (Cuerden Green - between Bamber Bridge and Leyland); he was baptised at St Leonard, Walton-le- Dale on 15th October 1826. He marries Mary Harwood at St Mary the Virgin in Blackburn on 31st December 1848, he is 22 years old. Mary was born in 1825 and baptised at St James, Over Darwen on 1st May 1825; she is the daughter of Henry and Alice Harwood. 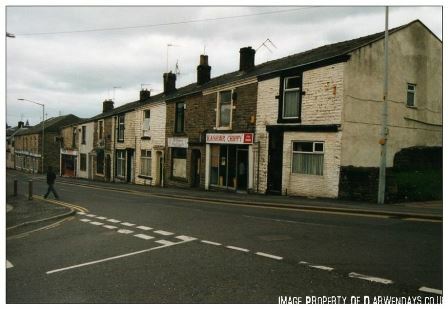 Before Mary married Joshua she lived in the High Street, Darwen, with her parents and siblings, Alice, James, Eli, Levi and William Henry; Mary was the eldest child. Her father was an engineer. Mary was a throstle spinner (spinning room): Runs a Throstle - a type of spinning machine named after the noise it makes. Throstle is an alternative name for a thrush. 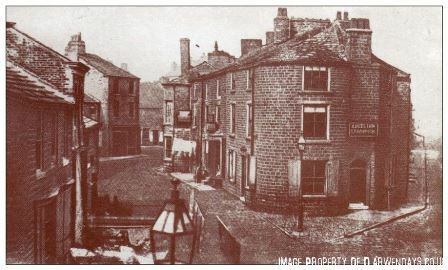 The Bibby family also lived in the High Street in 1848, when Joshua's youngest brother, William, died. 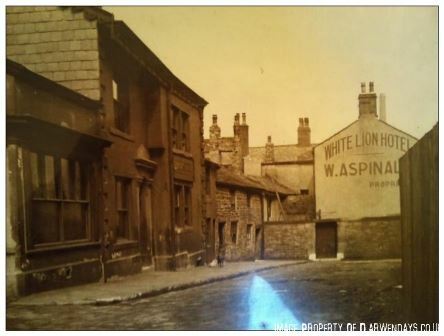 Joshua's father, John, was a publican at this time so it is possible he ran the George and Dragon, which is shown in the above photograph (I have sent off for the birth certificate for one of the children which should, hopefully, confirm this). It seems likely, therefore, that Joshua and Mary met because they lived in the same street. Perhaps her dad went drinking in the pub Joshua's father ran? Or perhaps they worked at the same cotton mill. In 1851 Joshua, is a cotton spinner (spinning room): Operates one or more usually two facing each other, spinning machines, each with many spindles, to make thread. Because the floor beneath spinning machines was soaked in the oil from the cotton, spinners usually worked barefoot. Spinners normally employed their own piecers and paid them directly. Mary is a weaver (weaving shed): Runs one or more looms to weave cloth. The more looms, the more money. Weaving is a very noisy operation, leaving many weavers deaf. Whether deaf or not, most weavers will have learned to lip-read since this is the only way to hold a conversation in the weaving shed. Joshua is an over looker spinner: Someone whose job is to keep the shop working smoothly. What is known these days as Middle Management. James Henry is 13 and a cotton creeler (winding room): A creel is a bobbin of thread used either for warp or weft. If used for warp it went on to the Beamer, if for the weft it went straight to the weaving shed. Also known as a Quill. A Creeler winds thread onto these bobbins. Here is a link to Cotton Town which gives an overview of child labour in the cotton mills. Joseph is 11; there are now five further children, Alice and her twin Betty are both 8; John 5; Hannah 3; and Edward 8 months. Joshua's brother, Joseph Bibby aged 19 is lodging with them and he is a weaver. It seems likely that they worked at Holme Mill as this would have been one of the nearest mills to where they lived. I also remember us throwing stones trying to break the windows of the mill from behind the Black Horse pub. You had to be a good stone thrower as it was a long way! By 1871 the family had moved onto Redearth Road proper, to number 31. This would have been just below the paper shop above. 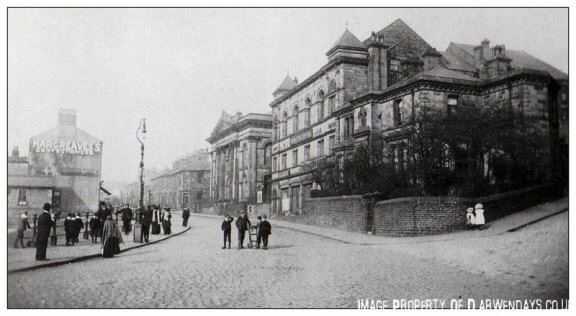 Here is a more recent photograph taken before the whole row (in fact a significant proportion of Redearth Road, Redearth Street, Hannah Street, Star Street, etc., were pulled down to make way for the new Academy. The house at the top used to be a herbalist, then the paper shop (which had changed to a chippy in this photo), then the chip shop, then some houses. 31 would have been lower down on this row. Joshua was now a head spinner and was 45, Mary is down as being 44. John Henry has left home to get married (more of which below). Joseph is 21 and a twiner (spinning room): twiner spinner; operates machinery which controls working of twining frame, and adjusts it as required. The twins, Alice and Betsy are 18 and both are winders (winding room): Either a Beamer (Takes cones of thread by the hundred and organises them to make the warp ready for weaving. The beam is a huge bobbin), or someone who winds thread onto the spindles used in shuttles. John is 15 and a piecer (spinning room): Mends broken threads during spinning. Hannah is 13 and an apprentice dress maker; and there are two additions to the family, Edward 10 and Mary Jane 7. I'm not sure which school they went to; I thought they might have gone to St John's as this is the one me and Stephen went to when we were children, however, this did not open until 1866. 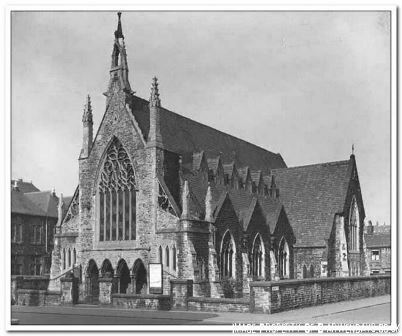 It is more likely they went to Redearth Road Methodist School which opened in 1845, or Holy Trinity Day School which opened in 1834. By 1881 the family had moved higher up to number 57 Redearth Road, which is opposite the Black Horse Inn. Joshua is still a head spinner. The eldest boys, James Henry and Joseph have both left home to get married. Alice at 25 is still a winder; Hannah at 23 is now a dress maker; Edward at 20 is an assistant school master; whilst Mary Jane is now 17 and a weaver. They are still living at number 57 ten years later. Joshua has now retired and is 65, Mary is 66. Alice is still single at 38 and a winder; and Mary Jane is still single at 27 and a weaver. Mary dies in 1893 at 68, the funeral is held at Holy Trinity on 15th September. Mary Ann is 44 whilst Joshua is 69. At some point they move to 26 Gladstone Street which is where they are living in 1901. Mary Ann is a weaver. 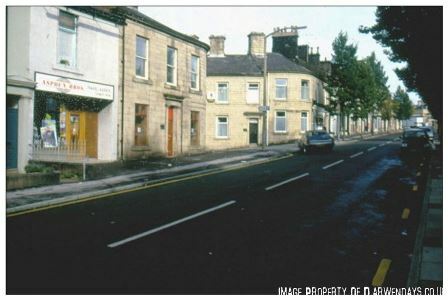 Gladstone Street was off Ashton Street which was higher up Redearth Road, going towards St John's School. James Henry marries Rachel Thompson on 19th September 1869. Rachel was born in Redditch. In 1871 they are living in Townend Court which is next to Black Horse Court, both of which are behind the Black Horse Hotel. When I was little we used to play at making house, both on the Nasty Back and in the old, disused houses behind the Black Horse. On one occasion I had been cleaning up and making house with Ivy Eccles; she had to go home for her tea. I waited a while assuming she had got out of the house then proceeded to clean up which included throwing bricks out of the window; one of them landed on Ivy's head!!!! To this day I am shocked at this. Recently, I met Ivy again after many, many, years, at the funeral of one of my mother's friends. This was the first thing we shared! So, we were playing in either Black Horse Court or Townend Court! Me and my friends used to play all the time round the back of the Black Horse; well, we were called The Black Horse Gang! In 1881 they have moved across the road and are living at 3 Bonny Street. I cannot find this on the 1910 map but the census tells us that it was between Brunswick Street and Hannah Street. James Henry is a spinner and Rachel a weaver. 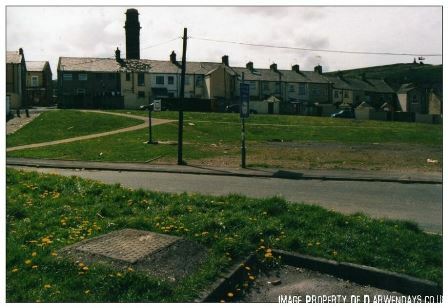 There are no photographs of Malta Street or Brunswick Street but here is one showing the Nasty Back where we used to play when we were kids. It is taken from where either Malta or Brunswick Street were. 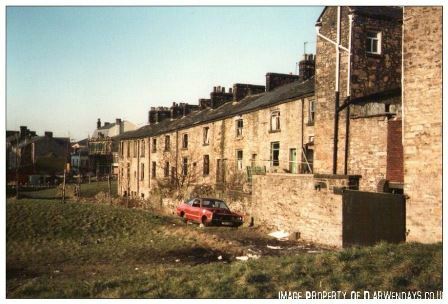 We used to sledge down the back in winter and when my mother remarried, we lived at the top of the back (77 Redearth Road) - you can just see the back of our house. By the way, the Nasty Back wasn't green when we played there! There were the remains of Redearth Court which had recently been pulled down. Ten years later and they have moved slightly - to 3 Malta Street, which is the next street on from Brunswick Street. They do not have any children. They stay in Malta Street until sometime after 1901; by 1911 they are boarding with James Henry's sister, Mary Jane and her family in India Street. James Henry dies in 1916 followed by Rachel in 1920. Joseph marries Hannah Jane Hargreaves at St John's church on 11th October 1873. Hannah Jane lived in Back of Astley Street with her parents George and Nancy before marrying Joseph. In 1881 they are living at 9 Bonny Street at the same time that Joseph's brother James Henry and his wife are living at number 3. At this point they have three children: Joshua 6, George Thomas 4, and Nancy Hannah, 4 months. Joseph is down on the census as a loomer which is another term for a weaver! Hannah is also a weaver. Joseph and Hannah have followed James Henry to Malta Street by 1891; they are living at number 9. Joshua is now 16 and a weaver; George is 14 and a drawer (Reaching Room): Organises the pattern of threads, taking threads from several beams of thread to form a pattern. The finished beam may have several different colours, forming stripes in the finished cloth. The actual work is done by a Reacher under his supervision. There are two more children, Nancy aged ten and John Edward, 5. In 1901 they have moved to 91 Redearth Road, which is seven houses up from where I lived at 77! Joshua is now an insurance agent and is still at home; George is also still at home and is still a drawer; John Edward is 15 and is now a reacher (Reaching Room): Does the actual work for a Drawer-in. Perhaps he was George's reacher? Nancy is 20 and a weaver. Henry also works in the cotton mill but I cannot read what it says as something is written over his job title. Ten years later, in 1911, and the family are still living at 91 Redearth Road (James Henry and his wife are boarding with his sister, Mary, and her family in India Street, just across the road from Redearth Road. Joseph and Hannah have been married 36 years and have had five children, all of whom are still alive. George Thomas is 35, John Edward 25 and Henry, 22, are still at home. Henry is a paper stainer. It seems that paper stainer is another name for wallpaper manufacture. 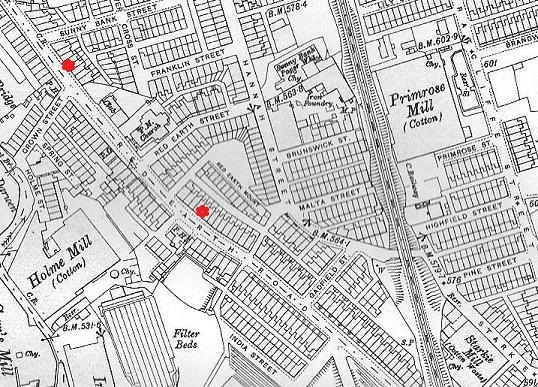 So it is likely he worked at Belgrave Mills; certainly Belgrave Mills are on the 1911 map as paper staining. 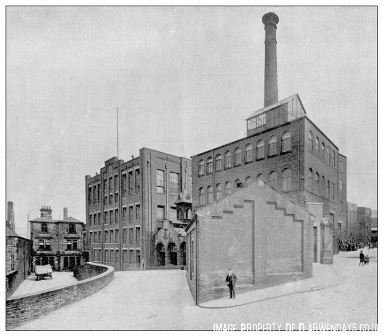 Click here for a compilation of old photographs of Belgrave Mill from Darwen Days. Joseph dies in 1916 at 66 years of age; his wife, Mary Jane lives to the ripe old age of 85 and dies in 1938. Joshua (1875-1938) married Sarah Baron at St John's church in 1905. In the 1911 census they are living higher up than Joshua's parents at 128 Sough Road. They have one child, Fred, who was born in 1906 and died a year later. Sarah dies at 36 in 1915. Joshua dies in 1938 at the age of 63 years. Nancy Hannah (1880-1950) had left home and married Richard Henry Kirkham in 1906 at St John's; they live at 14 Highfield Street in 1911 and had one child, Thomas Kirkham (1910-1997). Highfield Street isn't far away from Malta Street: you go along Hannah Street, under the railway bridge, slightly left and there is Highfield Street; at the top is Ratcliffe Street. 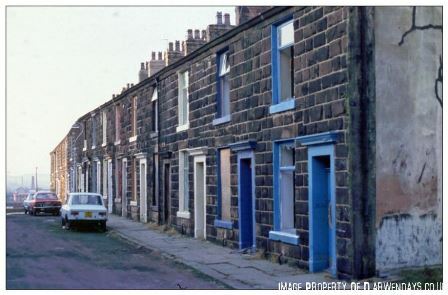 When we were kids we used to sledge down Highfield Street sometimes but more often in the next street, Primrose Street, as there wasn't a road at the bottom. According to his uncle's will, Thomas was a journeyman baker which simply means he was a baker who was qualified to work for someone else. I wonder which bakers he worked for? My first guess would be the one that used to be in Bridge Street - I remember it being a very good bakers with great meat pies! Nellie dies in 1978 at 69 and Thomas in 1997 at 87. They had two children, a boy and a girl, who are still living. and is buried in Couin British, New British and Communal Cemeteries. Couin is a village 15 kilometres east of Doullens. and Mary Alice, born two years later in 1877. In 1881 they are living at 61 Redearth Road (opposite where I was born at 80! ), William is a paper stainer, like his cousin, probably also working at Belgrave Mill. They are still at the same address ten years later in 1891. William is now a factory store keeper; John Henry is 15 and a general labourer; Mary Alice is 13 and a winder. Betsy dies nine years later in 1900 at the age of 47. Later that year, William marries Betsy's twin sister, Alice. Alice marries William Dean at Blackburn Registry Office. In 1901, Alice, William and William's children, are living at 57 Redearth Road. John Henry is still a general labourer; Mary Alice is now a warper (same as beamer, winding room). Takes cones of thread by the hundred and organises them to make the warp ready for weaving. The beam is a huge bobbin. They also have a boarder, Joseph Boyce. which is where William dies in 1907. On the back of the 1909 map of Darwen Alice Dean is down as the proprietor of The Greenfield Inn, Lower Barn Street. In 1911 Alice and her nephew/son are still living at the Greenfield. Alice is down as a beer house keeper and John Henry as a barman. Alice dies in 1926 at the age of 73. John Henry married Mary Ellen Hindle at Blackburn Harwood Street Methodist church in 1915. John and Mary do not have any children. John dies at the age of 75 years in 1950. Mary Alice married James Proctor at St John's in 1906. They live at 57 Redearth Road in 1911. James is a cotton cloth presser and Mary Alice is still a warper. They have been married five years. They do not have any children. Mary Alice dies in 1940. John marries Mary Ellen Cooper at Holy Trinity in 1877. James Edward comes along in 1879. In 1881 John, Mary and James Edward are living at 43 Redearth Road. 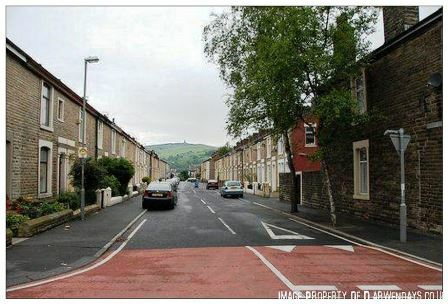 Have you noticed how all the family are living in or around Redearth Road? John is a spinner and Mary a weaver. John Ainsworth comes along in 1881 but dies the same year. John dies two years later in 1883. 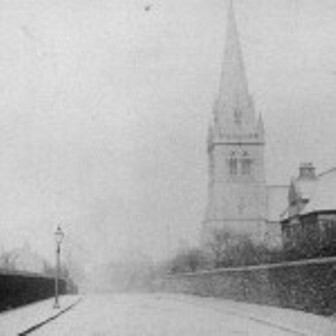 Mary Ellen marries Robert Walkden in 1885 at Holy Trinity. Mary Ellen has a daughter with Robert, Ann born in 1886. The family live at 30 Sarah Street in 1891 and then at 55 Perry Street in 1901. Mary Ellen dies in 1922 at 66 years. James Edward marries Clara Bury on 10th April 1901. In 1911 they have been married nine years and have no children; they live at 86 Perry Street. I'm guessing Edwin Aspden is a relative from Clara's side. 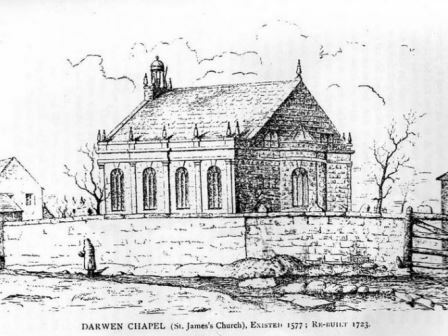 Hannah married John Edward Shaw at Holy Trinity, Darwen, in 1881. John Edward was born in Great Harwood. Hannah and John Edward had five children: Mary Annie born 1883; Edward Ethelbert (1884-1885); Herbert born 1888; Martha Alice (1891-1892); and Clara born 1894. 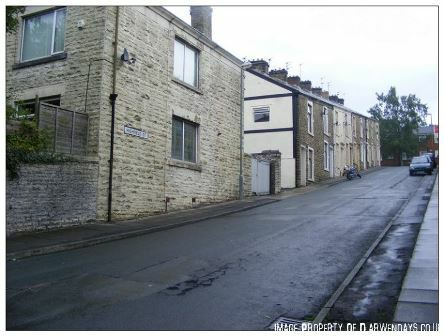 In 1891 the family are living in Blackburn, at 74 Higher Audley. John Edward is an insurance agent. 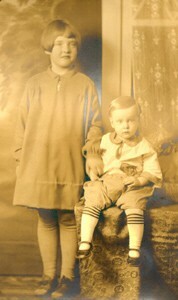 Mary Ann is 8 and Herbert 3; both were born in Darwen. Martha Alice is four months old but she dies the following year. Clara is born in 1894 in Blackburn and Hannah dies the same year, perhaps giving birth to Clara? John Edward marries Deborah Esther Sharples the following year. By 1901 the family have moved to 1 Edith Street. 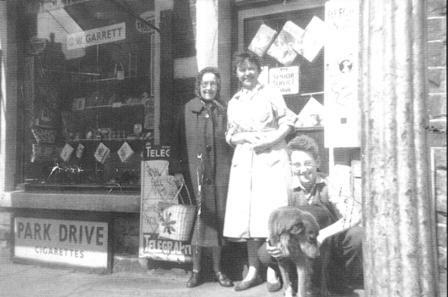 John Edward is now a rent and debt collector; Mary Ann is 18, Herbert is 13, both are weavers; Clara is 7. There are now two further children from John Edward's second marriage: Lydia 1 and Alfred a few months old. The family are still at the same address ten years later and have been joined by another child, Rose, who is 8. Herbert appears to have left home: there is one Herbert Shaw in the records which fits our Herbert and he married a Maggie Latham at Blackburn Holy Trinity in 1909; they go on to have one child, Alice, born in 1911. I don't know for sure if this is our Herbert or what happens to him afterwards. Clara is still at home, and at 17 she is a weaver. 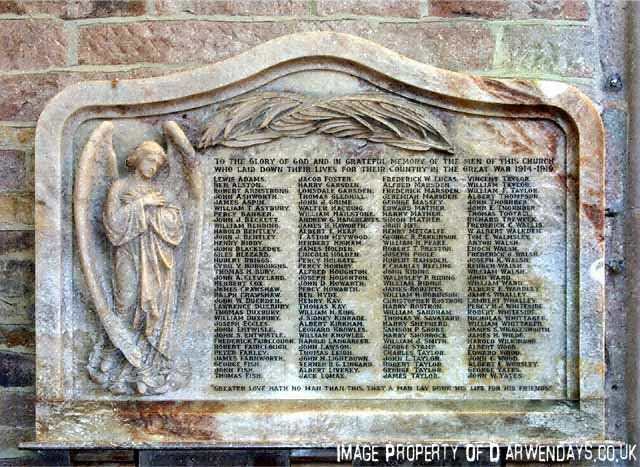 Mary Annie was living with the family: she had married Arthur Sharratt at Holy Trinity, Blackburn, in 1909. I'm not sure where Arthur is but a good guess would be America because I have found from another family tree that the Sharratt family, Arthur, Mary Annie and their daughter, Evelyn, are living in Suffolk County, Massachusetts in 1920, Evelyn having been born in 1917. Evelyn marries Donald Stiles Tuttle; here is a photograph of Donald when he was little with, I assume, his sister; it came from another family tree on Ancestry, the Tuttles of New Hampshire. Evelyn dies in 1980 at the age of 63 in Rockingham County, New Hampshire. Her husband dies in 1992. Clara marries Herbert Parker at St John, Blackburn in 1916. They have two children, Harold, born 1928 and Dorothy 1929. I cannot find any more information about them. It is possible, I suppose, that they followed Clara's sister out to America. If you remember, Edward was an assistant school master in 1881. When he is 26 he marries Sarah Anna Adshead at Holy Trinity on 1st June 1887. Sarah Anna, who was born in Over Darwen in 1860, is the daughter of Charles Luke and Mary Adshead who came from Marple in Cheshire. Charles Luke is a pattern designer working at a papermill. I am guessing this will be Belgrave Mill; it seems likely he moved to Darwen for his work because in 1851 he is 39 and a sketch maker and is lodging with William Snape and his family in Bolton Road. 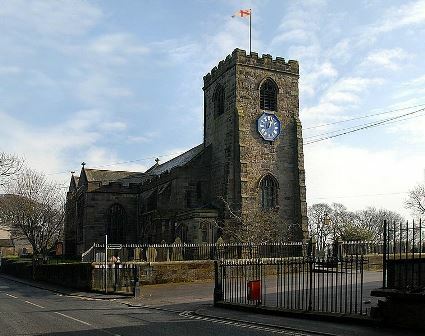 He marries Mary Sidebottom at All Saints, Marple, Cheshire, in 1853. The family lived in Railway Road and were living at number 100 when their daughter, Sarah Anna, who was a dress maker, married Edward. In 1891 Edward and Sarah Anna, along with James William who was born in 1888 and Charles Edward born in 1890, are living at 40 Railway Road. Edward is employed in school work. Ten years later and they have moved to 2 South Street, which is just off Railway Road. Edward is now a school master and they now have three more children: Harold, 8; Mary 5; and Frank 3. By 1911 the family have moved back to Railway Road, to number 44. Edward is now head teacher at an elementary school employed by the education authority. On the back of the 1909 map it tells us that E Bibby is the head at St George's Infants school on Hindle Street. Edward and Sarah have been married for 23 years and have six children. 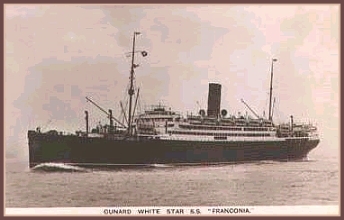 This photograph dates from 1910. Perhaps a member of the family is in it? At 15 Mary is down as her mother's helper whilst Frank at 13 and now Doris, who is 8, are both at school. James William: I'm not sure when James William dies as I cannot find any further records for him. However, it is highly likely that he has already died by 1948 when his mother dies otherwise she would probably have included him in her will. Charles Edward joined the Army Ordnance Corp in 1915 and was sent with the Mediterranean Exploratory Force; he contracted tuberculosis and was in Tooting Military Hospital. He was given a weekly pension of 25/- for six months and then discharged. Charles Edward died in 1927 at the age of 36. Harold also joined the Army Ordnance Corp in 1915. He served in Italy, Egypt and France. He contracted enteric fever (typhoid) whilst in Egypt. He was discharged on 28th August 1919 with a heart tremble. 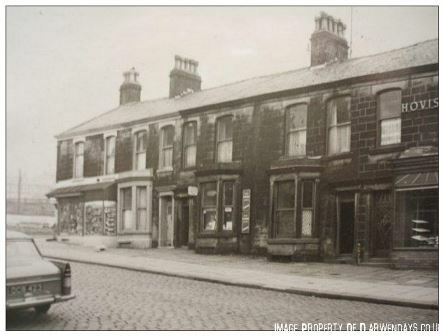 Harold married Edna Annie Cronshaw at the Wesleyan Chapel, Russell Square, Great Harwood in 1927 and they had one child, Jean Mary who was born in Darwen in 1929. Harold was working as a foreman wallpaper stenciller in 1948 when he is mentioned in his mother's will. This serves to remind us that whilst lots of people died during the First World War many others died early as a result of their injuries or the ailments they contracted. Mary married Ottowell Schorah at Holy Trinity in 1921. They have two children, Joan Mary born in 1923 in Billington, Preston; and Philip George born in 1928 in West Derby, Liverpool. 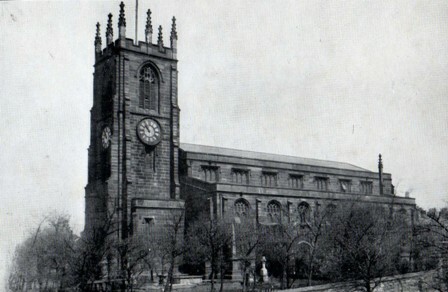 Mary Jane married John Henry Hopson at St John's Darwen in 1899. John Henry was a widow. He married Charlotte Ann Cheney in 1893 and Charlotte gave birth to Elsie that year; she died in 1895. Thus Mary Jane became Elsie's step mother. In 1901 Mary Jane, John Henry and Elsie lived at 49 Redearth Road. John Henry is a paper maker, perhaps at Dimmocks; Mary Jane is a weaver. In 1903 Mary Jane gives birth to Doris. By 1911 they have moved to 2 India Street. Mary is 48 and a domestic, John Henry has become an insurance collector for Britannica. Elsie is 17 and a weaver and Doris is now 8. They also have Mary Jane's brother James aged 63 and his wife Rachel aged 66 boarding with them. Both are still working, James as a creeler and Rachel a weaver. Mary Jane dies in 1915 at the age of 51; John Henry dies in 1947 at the age of 78. Doris marries John Bell Smith at St Johns in 1928. I'm not sure whether they had any children. Joshua and Mary's last child, George died in infancy. As towns and cities sprang up around the factories, living conditions declined. Badly planned, poorly built slums were seriously overcrowded. Open sewers and shared privies meant disease was rife and in 1831, Manchester was hit by a severe cholera epidemic which claimed hundreds of lives. Whilst modern day workers may rue the nine to five routine, cotton mill workers were three hours into their 13 our working day by 9am. Long working days continued throughout the 18th Century and for much of the 19th too. Mechanisation may have shifted cotton spinning from a craft to an industrial process, but it came at a cost - a human cost. The noise from machinery was deafening, many workers became skilled lip readers in order to communicate over the noise. Ear protection was not compulsory leading to many workers becoming deaf. The air in the cotton mills had to be kept hot and humid (65 to 80 degrees) to prevent the thread breaking. In such conditions it is not surprising that workers suffered from many illnesses. The air in the mill was thick with cotton dust which could lead to byssinosis - a lung disease. Although protective masks were introduced after the war, few workers wore them as they were made uncomfortable in the stifling conditions. Eye inflammation, deafness, tuberculosis, cancer of the mouth and of the groin (mule-spinners cancer) could also be attributed to the working conditions in the mills. Long hours, difficult working conditions and moving machinery proved a dangerous combination. Accidents were common and could range from the loss of a finger to fatality. Life in the mill was harsh and the only respite came in the form of wakes week, in which the mill would close for a week or fortnight to allow workers an annual holiday. Those who could afford it headed to seaside resorts such as Blackpool or Morecambe for a week, while others would enjoy the delights of the fair on a day trip. Holiday trains would be specially laid on to cope with the influx of workers and for a short time, hardships at work were forgotten - almost. 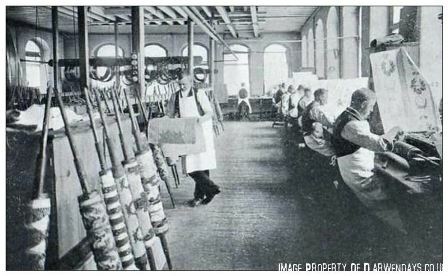 Harsh conditions, unfair practices in the mills provoked demands for reform with mass protests, strikes, disputes and the growth of trades unions. The passing of numerous Factory Acts over the years saw a gradual improvement in working conditions, but life as a mill worker was never an easy one.